Let us handle your next birthday party by booking now. Our SATURDAY & SUNDAY BASIC BIRTHDAY PARTY PACKAGE is a great way to celebrate a birthday or special occasion. SATURDAY/SUNDAY PARTY TIMES are available from either 1:00-3:30 or 4:00-6:30. Additional ice cream cups are available for Non-Skaters (children too young to skate) at a cost of $1.25 each. A plastic knife is provided free of charge for cutting the birthday cake. We also have plastic cake servers available for $1.00. You are welcome to invite as many guests as you wish. The cost is only $11.00 (includes an ice cream cup) for each additional skater. DELUXE PACKAGE: At an additional cost of just $70.00, this excellent package not only includes everything in the BASIC PACKAGE, but also a pair of GTX 500 ROLLER SKATES (as a gift for your child) valued at $72.86 plus shipping As well as, two LARGE (one-topping) PIZZAS!! (A total value of $109.86 with a savings of $37.00!) See a picture in our “add-on section”. 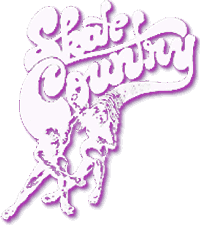 Please note – This birthday party package is held during our public skating session which means there may be other birthday parties and skaters attending these sessions. If you are looking for a party with just family and friends, please visit our Private Party page for information on our Private Parties. please call us at (504) 392-2227.